nickhacks alerted me that he saw one of my photos… I asked if the presentation he saw it in was available online somewhere, as I wanted to see it as well. 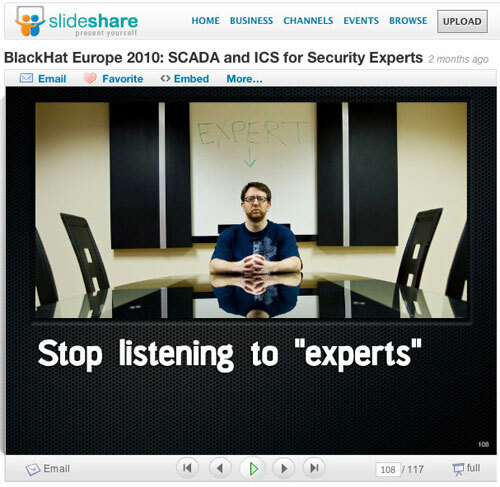 Skip to the end of this specific presentation and the last page presents credits. The only attribution I could find was a blanket “all from whom I borrowed material” which was a little disappointing. 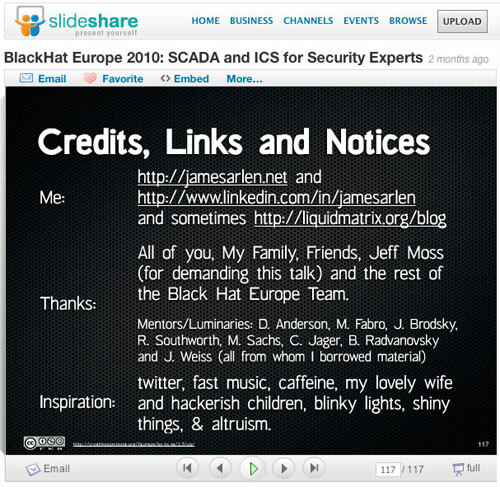 But even more disappointing is that right there, on the last slide, on the bottom, is a Creative Commons logo, which licenses the slides under the “Creative Commons Attribution, Noncommercial, Share Alike” license… the very same license my photo was released under. So now the question is… What do I do? Posted on Tuesday, August 3rd, 2010 at 6:59 am. Subscribe to the comments feed. Both comments and pings are currently closed. Post on your own blog. I think you’ve done all you can. You might have written him directly with your request, but you called him out, and that’s all that you really can do. The question is how much does the lack of attribution bother you? Enough to put a watermark on your images? Or, do you, like I do, accept that when you publish your work on the internet, Creative Commons or otherwise, you stand a reasonable chance of someone appropriating it, and let it go. Fact is, you’re notorious enough that it got back to you, and that’s a really cool thing! Perhaps you could accept my mea culpa for putting all of the CC attributions in the PPT / Keynote and not properly exposing them in the PDF that is required by the various conference organizers. Or feel free to publicly humiliate me – that would be good too. I’m sorry you feel slighted – that certainly wasn’t my intent. Please let me know what you’d like me to do – you’ve got my email. This sort of thing happens every day, and once again it has happened to me, and once again I felt like pointing it out. I know it may be a lot of work to track down where images come from, but it can also be a lot of work to create those images, and giving credit where credit is due is all that is asked, and I guess I don’t think that it’s too much to ask for.